Audio issues and other frustrations abound with these disappointing earphones. It’s possible to find surprisingly decent Bluetooth earphones for well under $100. Aukey’s EP-B40 Latitude Wireless Earphones are proof positive of this. However, for every pair of great, inexpensive earbuds you’ll run across, you’re sure to discover 50 pairs that aren’t worth their asking price. 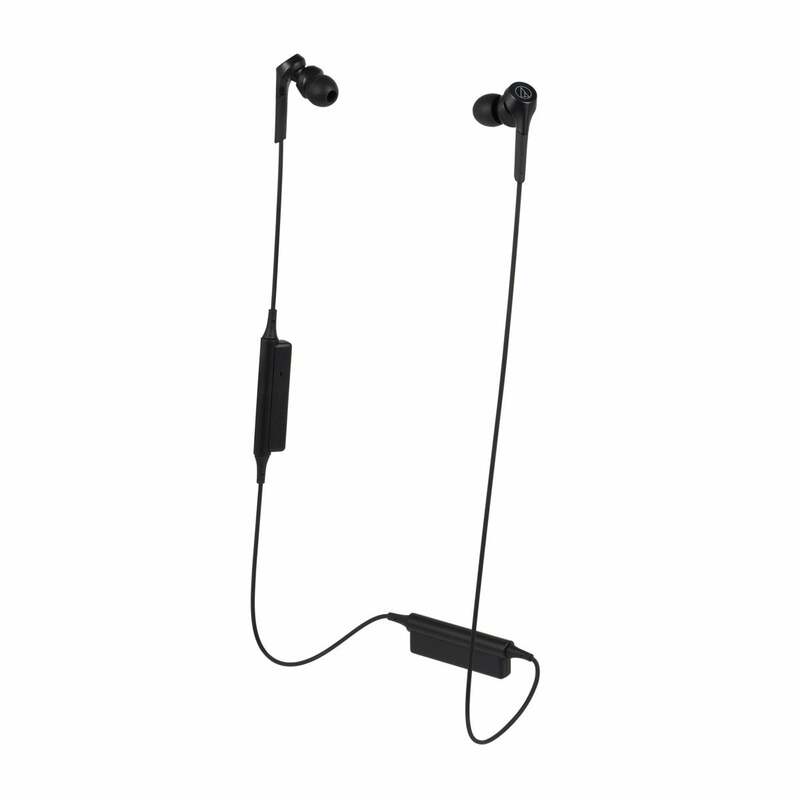 Audio-Technica’s ATH-CKS550XBT Solid Bass Wireless In-Ear Headphones fall into this latter category. At $79, they come with far too many quirks and compromises to recommend. The first thing I noticed while unboxing the ATH-CKS550XBT earphones was how cheap they felt. Their in-line controls and battery pod are all sheathed in the same sort of downmarket plastic that toy companies have been using to make mid-range Barbie and G.I. Joe playsets since the 1980s. That’s fine for toys that children will likely outgrow within a year. It’s not okay for a product that full-grown adults are considering for a fine addition to their everyday carry. Returning to the example set by Aukey, the feel and look of the EP-B40s provide a hint of quality despite their bargain-basement price. That’s not something you get with the ATH-CKS550XBTs. I was able to get a fingernail in between the seams where one piece of plastic joins with another, and the headset’s plastic earbuds feel as though they weigh nothing at all. That’s a problem, considering the fit of these earphones. While this headset ships with four sets of silicone earbuds, none of them could keep the earphones sufficiently anchored in my head while walking around. The ATH-CKS550XBTs’ electronics pod and battery pack/in-line remote were just heavy enough that I could always feel them pulling on the earbuds as I went about my day. Poor build quality and questionable audio makes these earbuds hard to reccomend. As accessories like this stand a high chance of coming into contact with rain or sweat, a bit of liquid resistance seem like a reasonable expectation. But these? No liquid resistance at all. Even the rubber flap that covers their Micro-USB charging port refused to sit flush, leaving the earphones more open to intrusion by liquids and dirt than they should be. Like V-Moda’s Forza Metallo, the ATH-CKS550XBTs are designed to be worn like a neckband, with their electronics pod resting on the back of the neck. Unlike the Metallo, though, these boast no curved, ergonomic design. As such, the pod sways back and forth. This leads me to another issue: microphonics. The cables for these earphones are very thin: a decision based more on style than sound design, I'm sure. As I walked around, turned my head, or shifted my weight while sitting, I could clearly hear each and every time the ATH-CKS550XBT cables brushed against me. It’s an unwelcome addition on an already long list of complaints. The ATH-CKS550XBTs are rated to deliver six hours of playtime from a single charge. I found that, even while listening at a moderate volume, the headset’s rechargeable battery provided around an hour less than this. That’s subpar when compared to the majority of the wireless earphones that I’ve used and reviewed over the past five years and, considering that Aukey’s $28 EP-B40 managed the same runtime at close to one-third of the price, it’s kind of embarrassing. The first thing I noticed when I popped the ATH-CKS550XBT in my ears was that their volume controls wouldn’t affect the volume of my audio source. So whenever I wanted to turn whatever I was listening to up to its maximum volume, I was forced to pull my iPhone out of my pocket, increase its volume, slip it away once again, and then increase the volume of the earphones themselves. That’s frustrating. More frustrating is the fact that every time you touch the volume on the ATH-CKS550XBT, your music gets muted by a small percentage so that you can hear what I can only assume is a very important beep. Up or down, it doesn’t matter—you’re going to get beeps and you’ll just have to learn to live with it. Once you’re finished fishing your smartphone in and out of your pocket and there are no more beeps, the these earphones don’t sound all that bad, provided you listen to them at their maximum volume. They're not even all that loud, so I wouldn’t consider this a knock against them—just another quirk. At their loudest, these earphones produce some clear mid- and high-frequency sound along with some pretty substantial bass. Unfortunately, as the decibels of what you’re listening to decrease, the treble you were enjoying when they were turned up to 11 disappears in a swamp of low-frequency sound. With their bass overwhelming all else, I found it difficult to enjoy any of the music I played through them at a lower volume. Phone calls made or received using the ATH-CKS550XBT proved less than clear, aside from the annoying microphonics produced by the headset’s cables. Those came through loud and clear. Because of their questionable build quality, design, and lackluster audio performance, we cannot recommend Audio-Technica’s ATH-CKS550XBT earphones. You can get far better Bluetooth earphones for far less money. 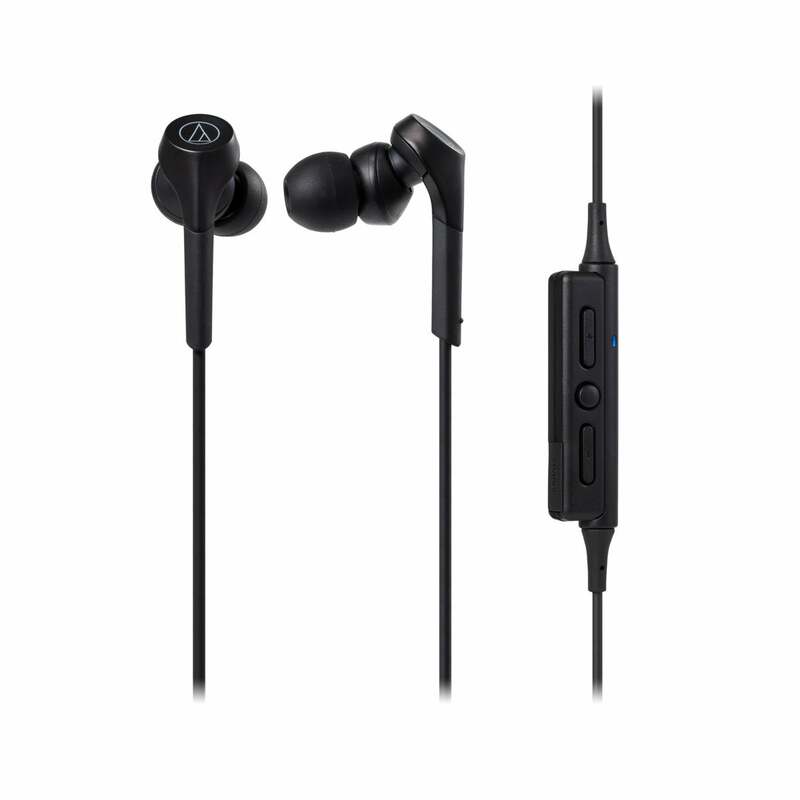 This story, "Audio-Technica Solid Bass wireless in-ear headphones review" was originally published by Macworld.